Eid al Adha is coming up in a few days, and we have a nice 5 day long weekend to celebrate! 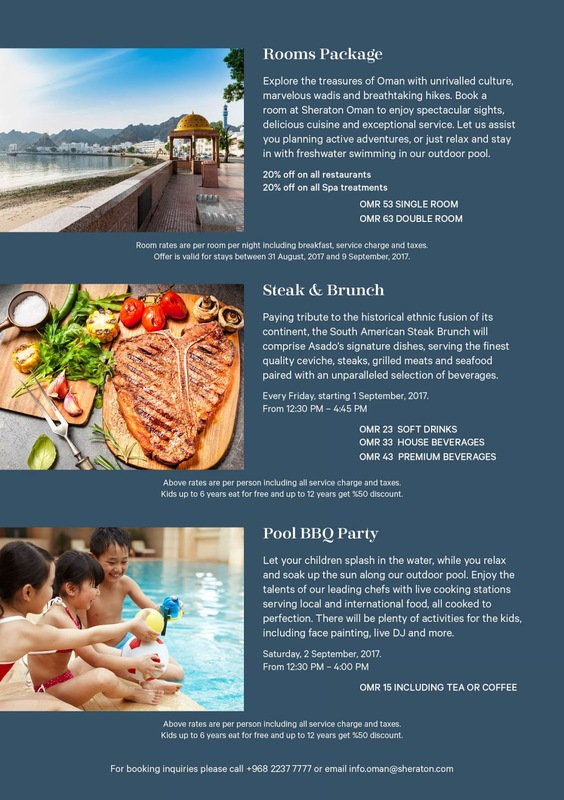 The Sheraton have a number of offers available this weekend for those of you who are staying in the City. Of note is that the bars will be closed between 6pm on Thursday until 6pm on Friday - so the brunch this Friday will be "dry". Rooms are available at the recently re-opened and re-furnished hotel for RO 53 (on single occupancy) and RO 63 (on double occupancy), including all taxes and breakfast. 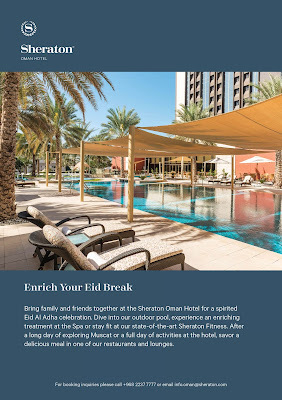 Its a pretty good deal for a 5 Star hotel in Muscat! 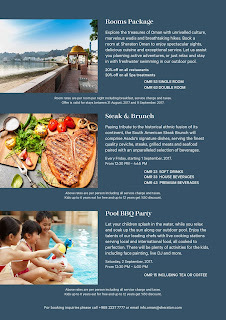 On the Saturday there is a pool BBQ party, with lots of activities for kids, a bunch of live cooking stations and a DJ as well. It runs from 12:30 until 4pm and is RO 15. Kids 6 and under are free, 12-6 are RO 7.5. If you've not been in to the hotel since it re-opened, I suggest you at least go and have a look, its a very different hotel to what was there before. If you want more information, you can check out their facebook page here.